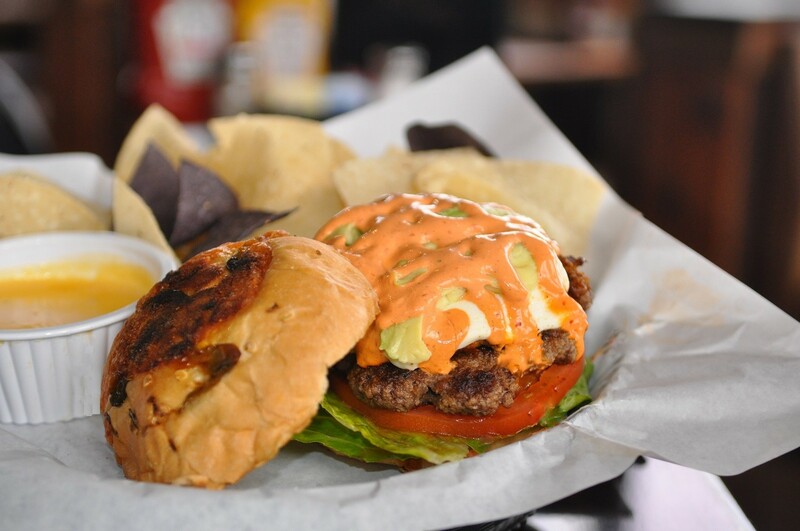 Our fresh-ground patty topped with chorizo, avocado slices, queso fresco, romaine lettuce and tomatoes, drizzled with guajillo ranch and served on a jalapeno cheddar bun complete with a side of tortilla chips and queso! Get it before it’s gone on May 1st! Begin working towards your Flips VIP status from 11am – 2pm daily when you dine-in at Flips! Buy 7 lunches and we’ll treat you to the 8th! Monday: $3 You Call Its (some exclusions apply). Crown & Down. Late Night Food 11PM-Close. Tuesday: $3 You Call Its (some exclusions apply). Crown & Down. Late Night Food 11PM-Close. Wednesday: $3 Domestic 22 oz. Drafts. $3 Cordials. $4 Jager Bombs. Late Night Food 11PM-Close. Thursday: Texas Thursdays – $4 Texas Brands. Late Night Food 11PM-Close. Sunday: $3.50 Mimosas. $3 Deep Eddy Vodka, Makers Mark & Craft Pints. Late Night Food 11PM-Close. Full price menu also available all night! Warm up the long, cold nights of winter with Rahr’s latest seasonal offering. Wonderfully robust, rich and full-bodied, Rahr’s Winter Warmer is created in the fine British tradition of holiday ales. Perfect for either holiday gatherings or quiet evening at home. *Bourbon Barrel Aged Winter Warmer while supplies last. Standard Winter Warmer to follow after that. For an IPA to bear our hometown name, it better be potent. So we loaded it with our favorite American hops for a bitter punch. And with some over-the-top tropical fruit, citrus, pine and floral aromas and flavors, you’ve got one big Texas IPA, deserving of the Deep Ellum name. This Shimmering golden ale combines citrusy and floral American hops with Pale, Vienna and wheat malts. Southern Pecan Nut Brown Ale is made with whole pecans. The pecans provide a nutty characteristic and a delightful depth to the to the flavor profile. An unfiltered deep golden ale made with malted two row barley and wheat. The brew is finished with blood orange zest, local Fall Creek Farms honey and other spices that bring special flavors to this unique beer. Shiner’s holiday seasonal is a Dunkelweizen with hints of peaches and roasted Texas pecans. Caramelized malts give a rich, malty body.. This light, crisp cider presents a tangy aroma while offering a distinct pear taste and ends with a lively mouthfeel that tickles the tongue. Trivia on Tuesday nights | starts at 7:00 p.m. | Prizes up to $50! Pub Poll on Wednesday nights | starts at 7:00 p.m. | Prizes up to $50! Game of Thrones Trivia| April 26nd at 7:00 pm | Prizes up to $50! It’s Irish. It’s a classic. Crackberry is the perfect pairing of cranberry and blackberry- tart and sweet- joining forces to create a colorful, well-balanced cider. This shimmering, golden ale combines citrusy and floral American hops with Pale, Vienna and Wheat malts. It’s a beautifully balanced, sessionable brew. Guaranteed to deliver more fun! For an IPA to bear their hometown name, it better be potent. So they loaded it with their favorite American hops for a bitter punch. And with some over-the-top tropical fruit, citrus, pine and floral aromas and flavors, you’ve got one big Texas IPA, deserving of the Deep Ellum name. This Red stands out in this beer style category. The malt body is as impressive as a bock, albeit in a uniquely Irish way. Wieth an incredibly smooth malt body complimented by caramel tones and perfectly balances in bitterness, this Irish Red is much more complex than it’s mainstream rivals. Let it pour, watch it swirl, the chocolate notes release with carbonation. Take a sip and you’ll agree that this will become your new infatuation. Get it quick, the clock does tick, and this stout will only be here for the season! Unfiltered wheat made from blood oranges, Texas honey and well water in Granbury. With Aloha Sculpin, they used Brux Trois yeast to turn their award-winning IPA into a tropical oasis, with bright and refreshing notes of mango, pineapple and guava, along with a slight haze and smooth mouthfeel.